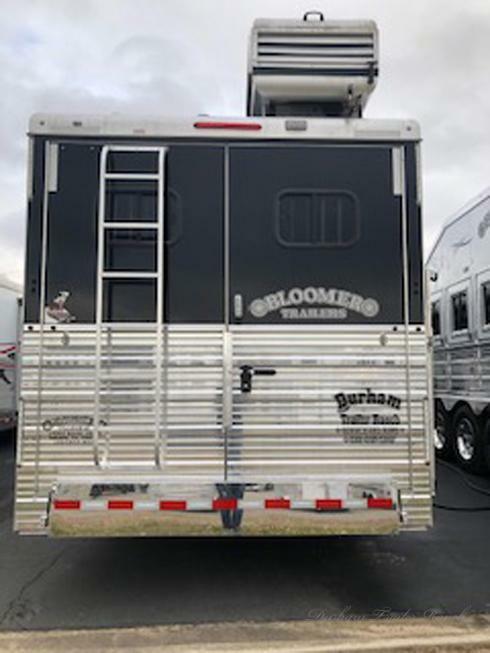 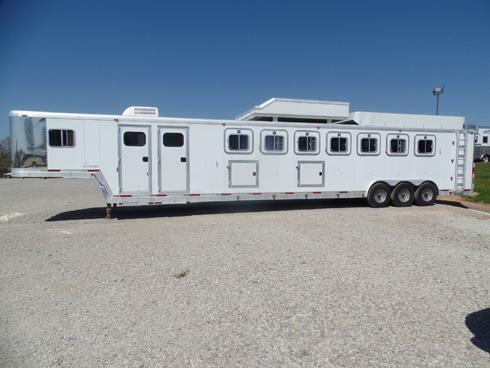 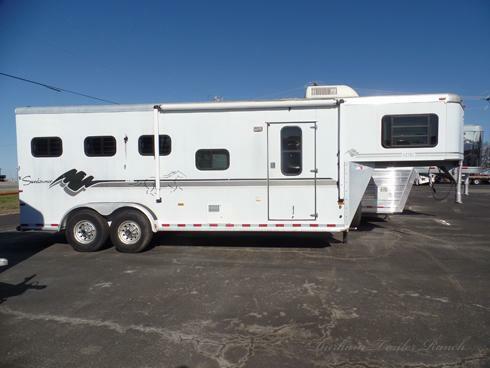 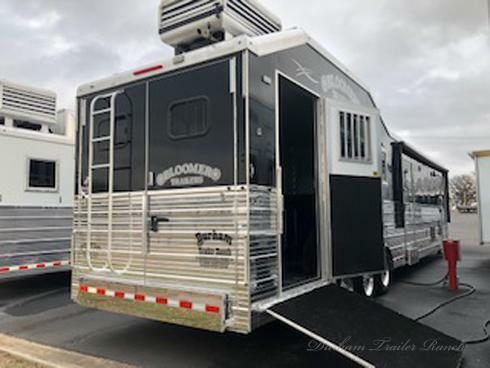 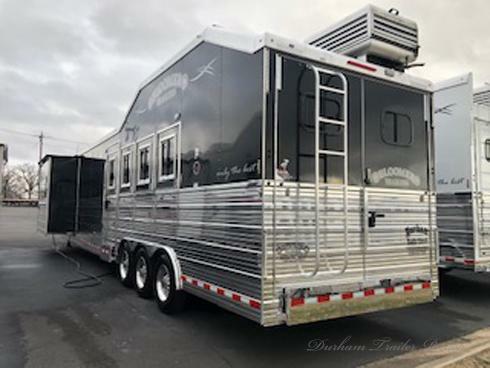 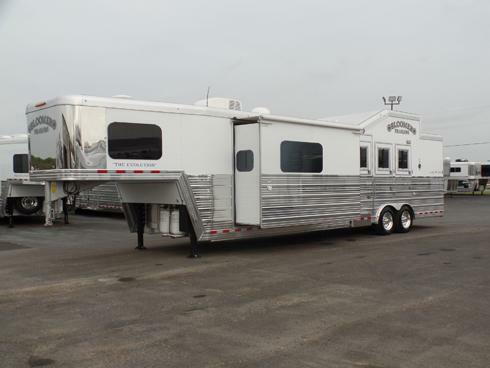 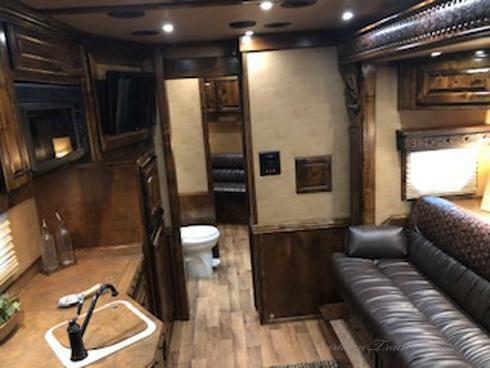 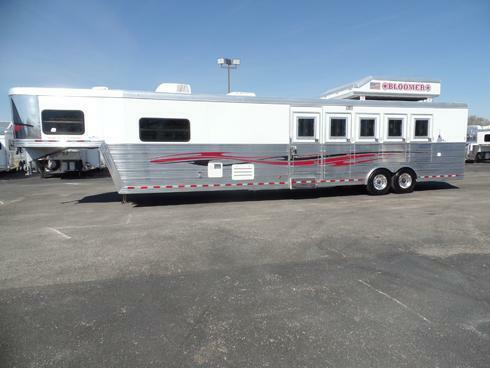 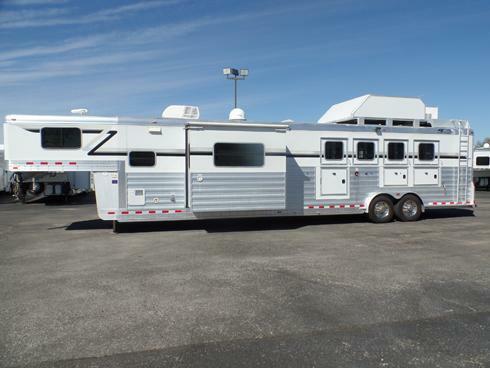 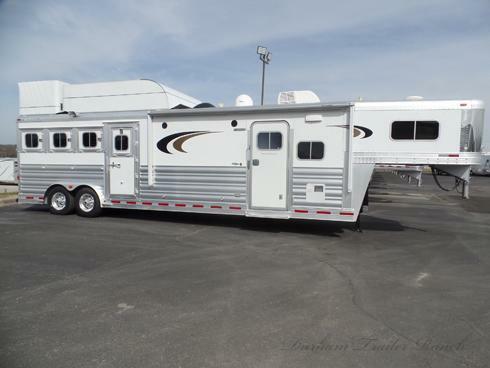 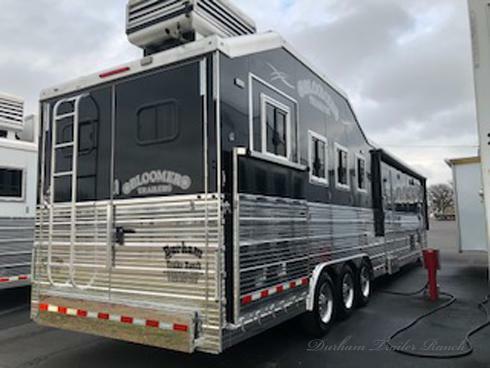 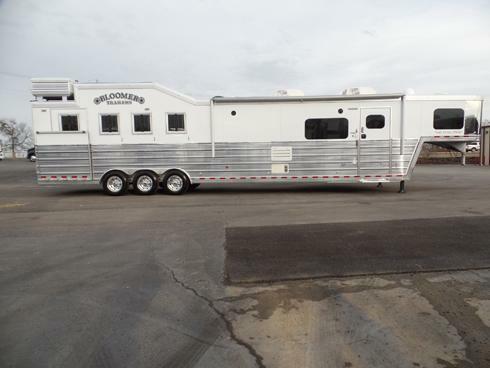 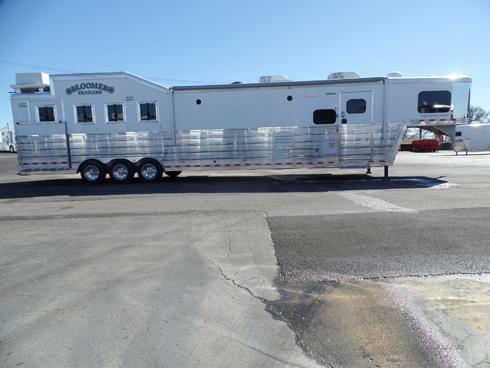 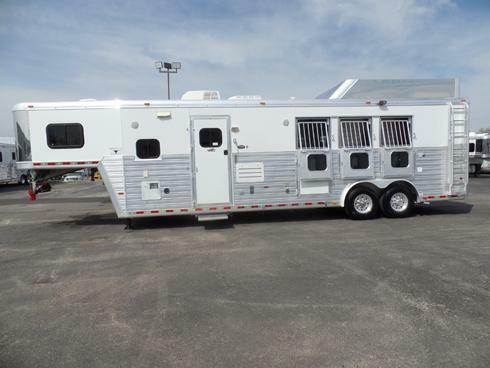 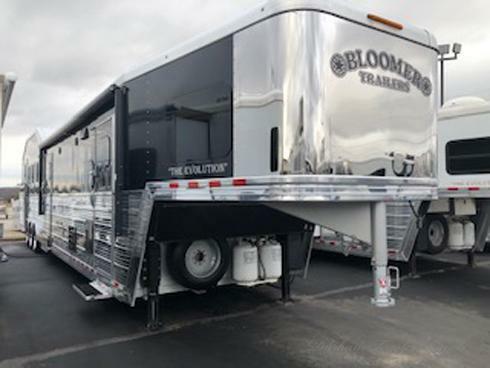 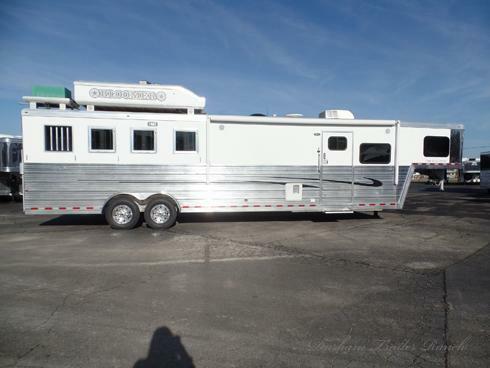 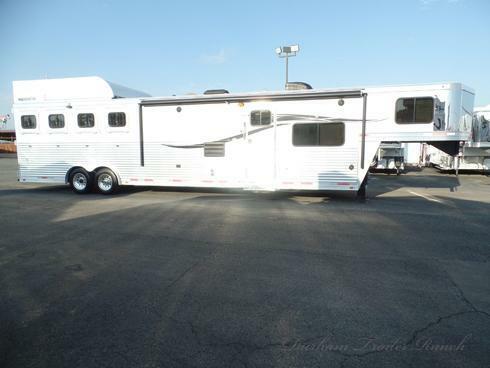 2016 Bloomer 4 Horse PC Side Load with a 19.5' Short Wall. 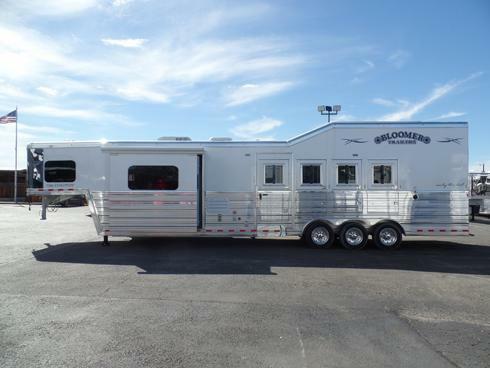 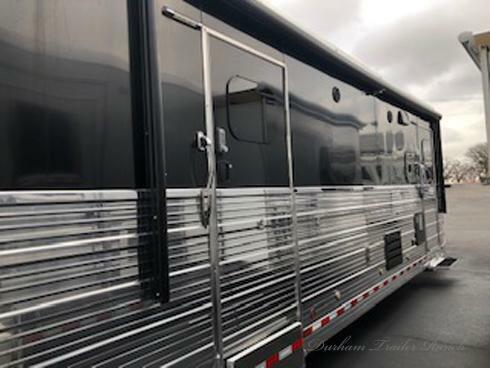 Onan 7K Gas Generator, 21' Awning, 8' Integrated Hay Pod and Black Skin. 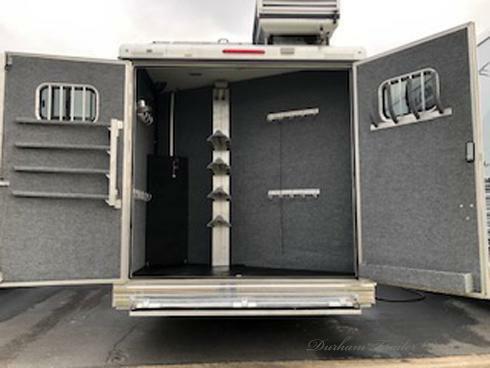 Full Rear Tack with a 4 Tier Saddle Rack, 4 Blanket Bars, 20 Bridle Hooks, and a Brush Tray. 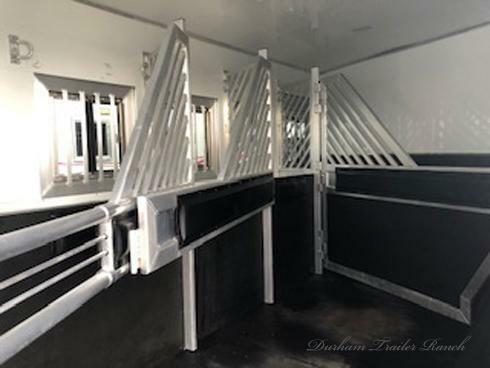 Drop Windows on Head and Hip Sides, Mangers, Stud Divider, and Escape Door. 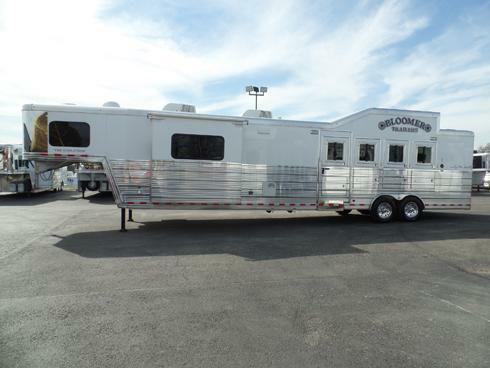 Triple 7K Heavy Duty Axles, Hydraulic/Drum Brakes, and 17.5" Alcoa Aluminum Wheels. 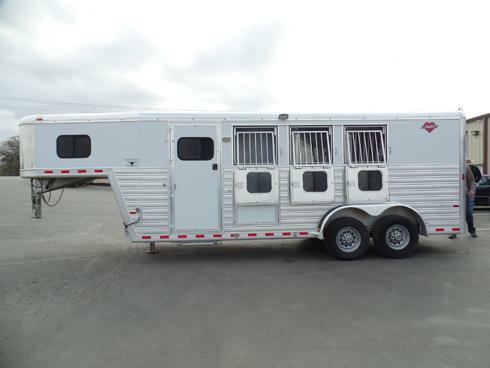 50 Amp Service, Triple Batteries, Dual 30# Propane, Dual Hydraulic Jacks and 3 Keyless Dead Bolt Entries. 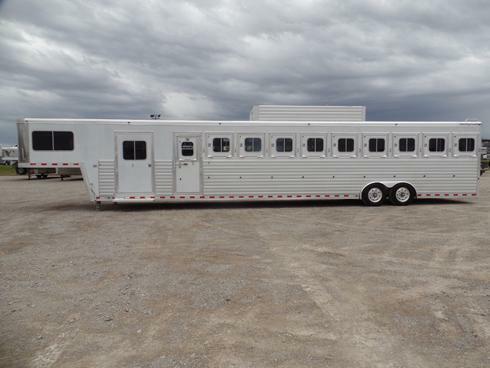 Outlaw Conversion with a 19.5' Short Wall and 6' Slide. 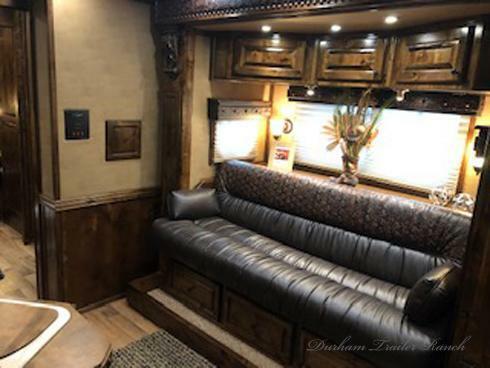 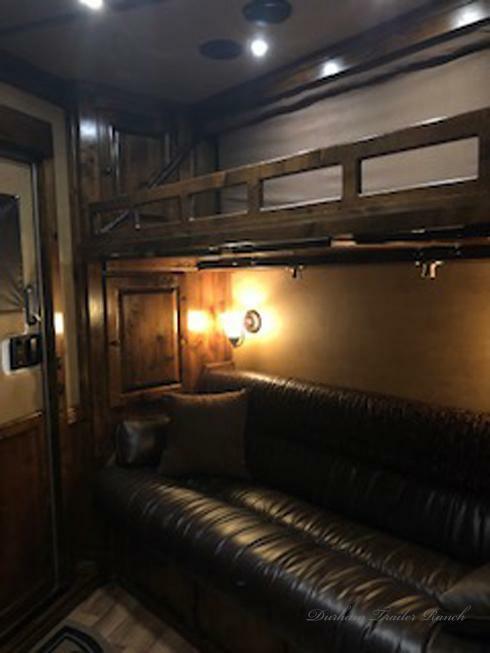 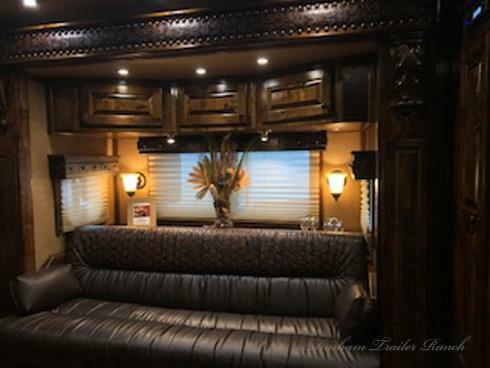 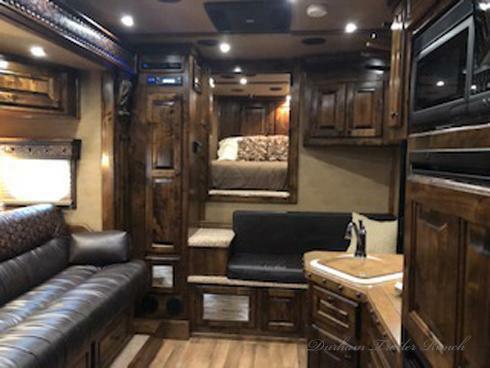 Dual Entry Apartment Style Entry with a 72" Sofa Sleeper and Bench Seat in Living Area with an Additional 72" Sofa Sleeper and Fold-Down Bunk at the Second Entrance. 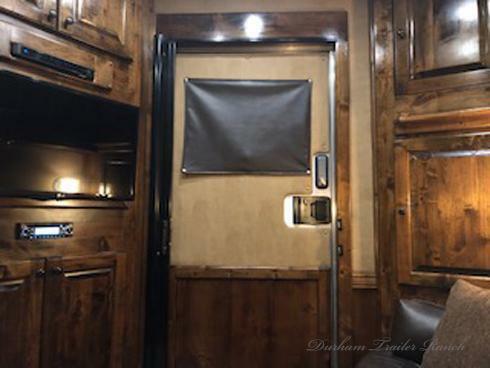 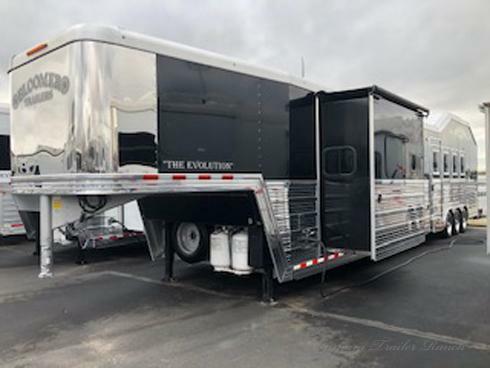 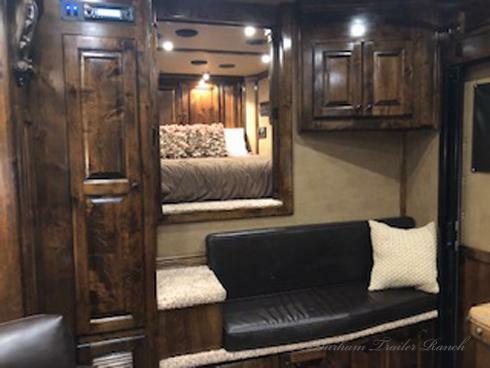 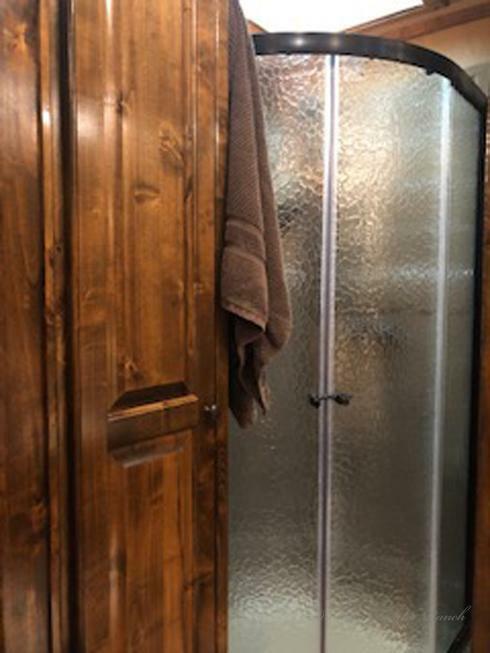 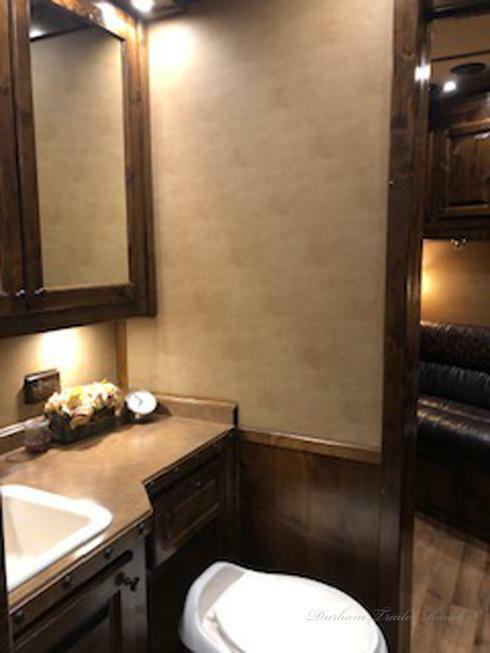 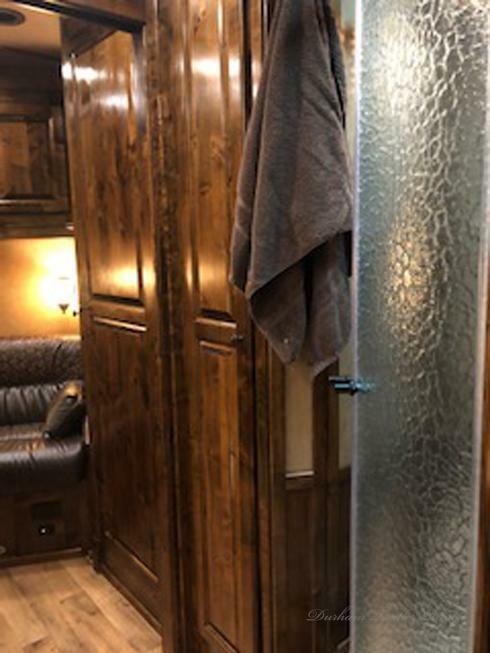 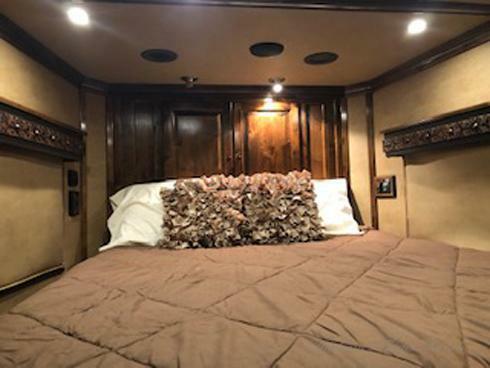 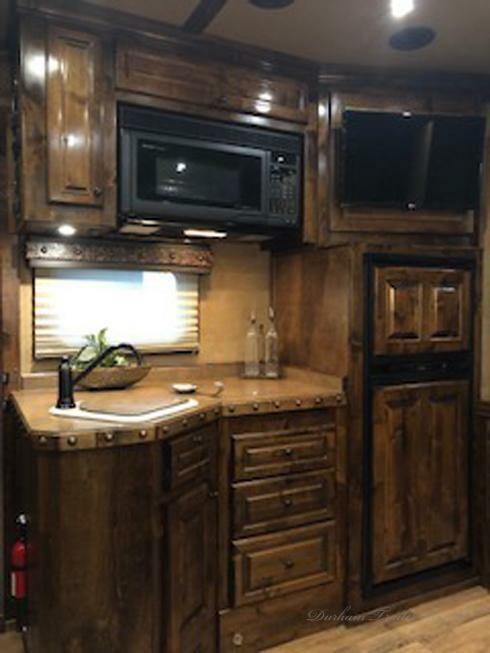 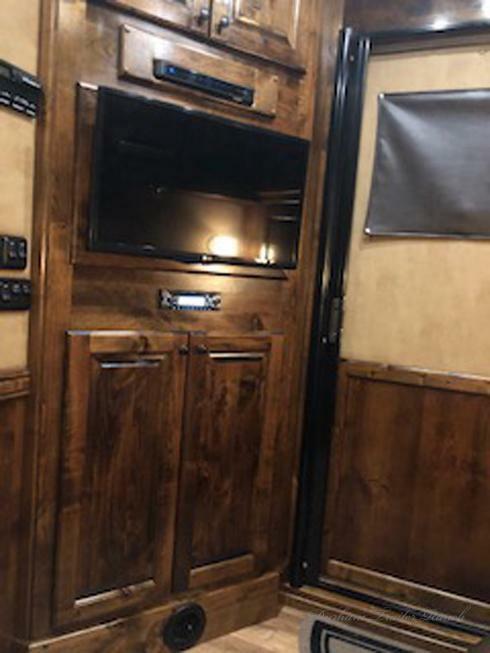 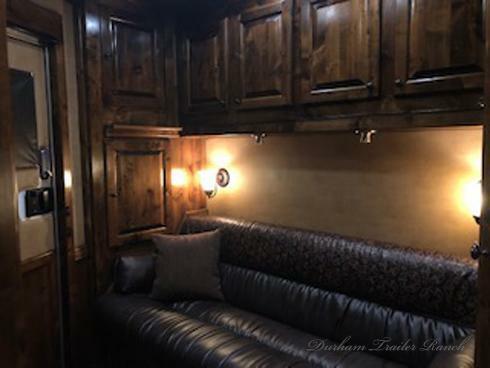 Knotty Alder Cabinetry Throughout Trailer, Kitchen Sink, Recessed Cooktop, Convection Oven, and 6.0 Refrigerator/Freezer. 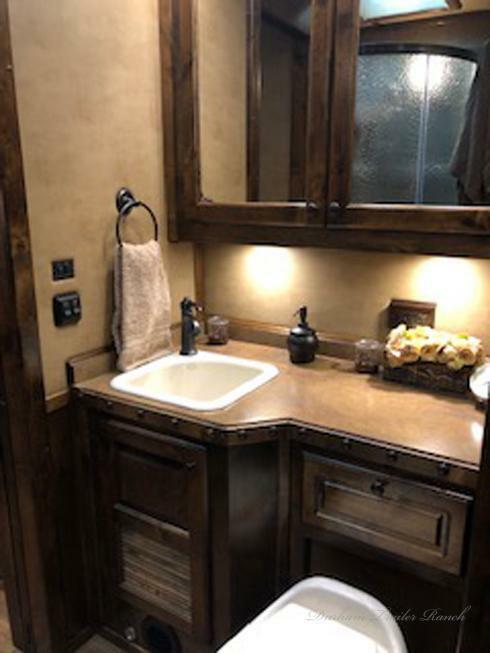 Radius Shower, Bathroom Vanity with Porcelain Sink, and a Porcelain Commode. 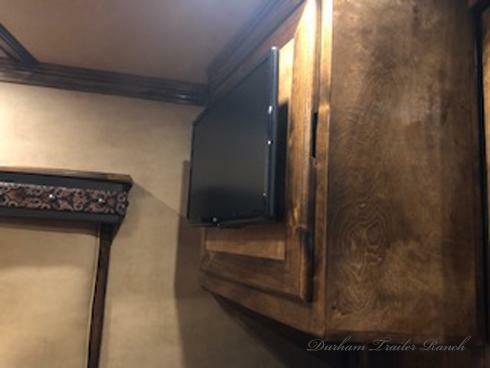 3 TVs, Satellite, DVDs, Stereo with Interior/Exterior Speakers, and 2 ACs.